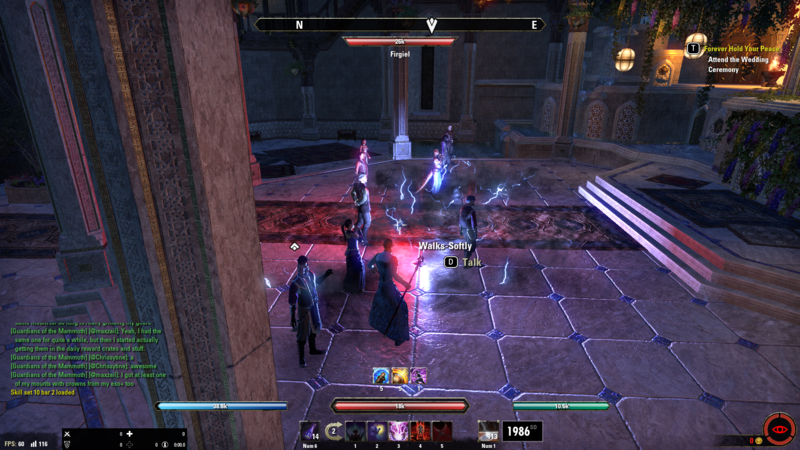 Could ZoS please fix Thieves Guild Quest: Forever Hold Your Peace? I have been stuck on this quest for a couple of days now. I notice that this bug has been in the game since the launch of the Thieves guild and never addressed by the Devs. Basically you get stuck on the point hwen you are supposed to open the Door to the Palace kitchen, and you are unable to interact with it. I have restarted the quest 5 times. I have tried different permuations of attacking the scripts. NO LUCK. I would like to finish the questline on this character. Please help. Since your character is still stuck after disabling mods and restarting the quest, we recommend starting a ticket with customer support. Only got a response from Customer Support once. It was a auto response that asked me to reloadui or relog or drop quest. Note that I stated I did this 5 times in the inital ticket, leading me to know that no one read the ticket and the response was generated based on the category that the ticket was submitted under. I can get the key. Here we are murkmire released and a fix to Forever Hold your peace has been put in, but the only thing it did was let me in the house. Now I sit inside the house unable to interact with any NPC, not getting seen or receiving any bounty when standing in front of NPC's and also cant attack them. The quest stops yet again after all these years I am still unable to complete thieves guild. I did this quest yesterday. Specifically 12h ago. It worked perfectly. Indeed no bounty is given at this part, after the little scene where "some people" are arrested, it just said for me to escape from the castle with my mate. I went on to the next quest, completed it and there's another one I left to do today. Customer support told me they dont speak with DEV's which I find odd and confusing after dealing with them for hours on end about this issue all they can tell me is hopefully it will be fixed in a future patch. 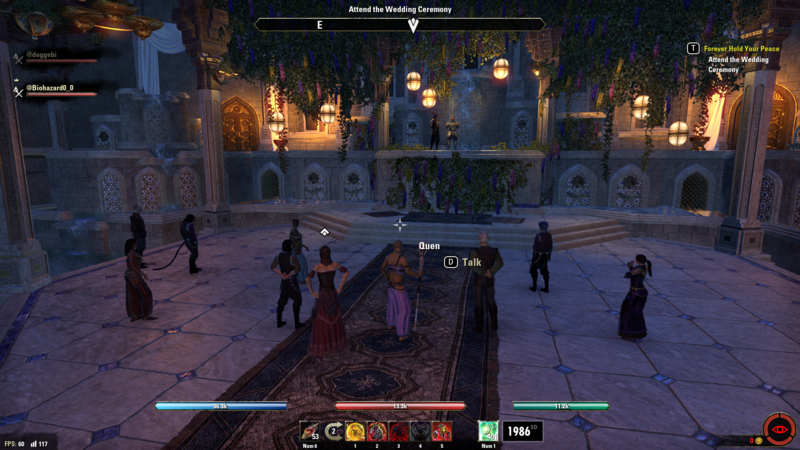 Well im posting another picture of the same quest which after murkmire aloud me to get 1 step further but I still cannot complete it after all this time, cant get the skill points cant get the title or momento. I have tried all the tricks, even tried doing it in a group as you can see since some people said it worked for them when they did that. This has been a problem for years and just gets ignored when people pay for this DLC and cant complete it. I have tried doing it every different way trust me, I was trying it twice a day using different options and costumes every time or pick pocketing a different waiter or both since the first never gives you the key. Now i can enter by pick pocketing one waiter still not giving a key but I am stuck inside were it says I am trespassing but cant get a bounty. Probably tried doing this quest over 50 times in as many different ways as can be done. In addition to pickpocketing the key, you also have to acquire the information on where to find the Magnifica, which can usually be acquired by merely talking to the servant on the left-hand side of the pool, and then getting the wine for her.